On September 24, 2014, 43 students from the Ayotzinapa Rural Teachers’ College on their way to commemorate the 1968 Tlatelolco Massacre were kidnapped and undoubtedly murdered in Iguala in the state of Guerrero, Mexico. Few of the bodies were ever recovered, some showing signs of torture. The exact circumstances of the horrific crime remain unclear, but evidence points to the direct involvement by corrupt Mexican police, military and government forces who delivered the students to the Guerreros Unidos drug cartel. Mirar Morir. El ejército en la noche de Iguala (Staring at Death. The Army on the Night of Iguala) takes a hard look at the actions of the Mexican 27th Infantry Batallion on that fateful night. 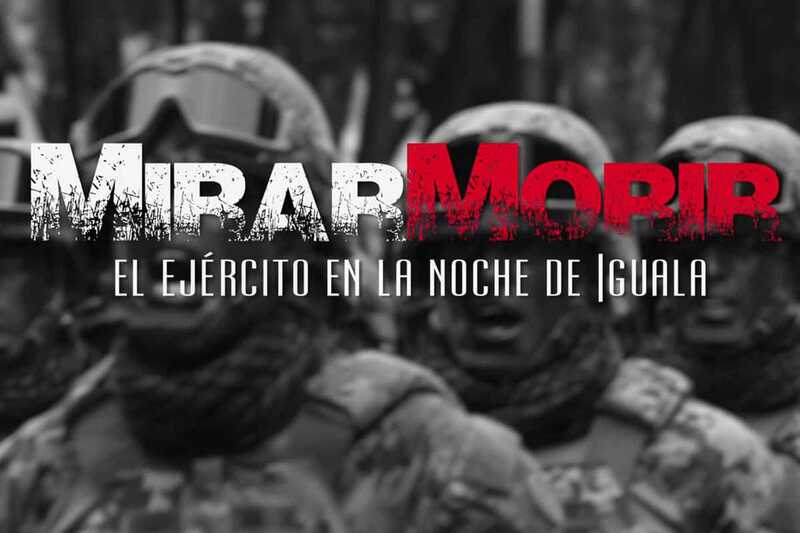 The 2015 documentary, directed by Coizta Grecko, argues that soldiers in the Mexican army were not only monitoring the kidnapping but also helped coordinate the attacks and subsequently covered up evidence of the crime. The film premieres in Europe simultaneously across ten cities. Proceeds from the ticket sales will go to support the producers in their continued fight for freedom of expression in Mexico as well as to the students’ families.